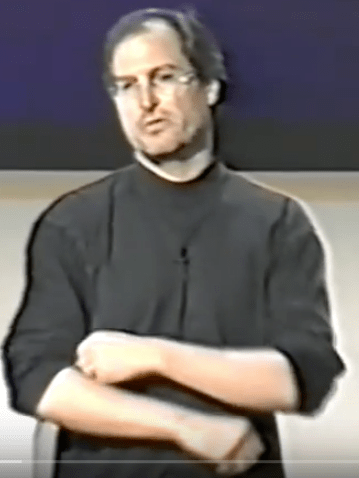 Watch This Amazing Steve Jobs Talk On Advertising - Peter Levitan & Co. I took a re-look at Apple’s 1997 Think Different TV commercial. You’ve seen it. Watch it again, please. Ads like this are why experienced advertising people from the olden days can (I stress “can”) get real sick about how the advertising industry spends more time thinking about content, programmatic buying, ads that follow you around for the rest of your freakin online life, how to squeeze ads that you don’t want on your phone and how to create brilliant Facebook ads. Oh, and lame click bait headlines like my, “Watch This Amazing Steve Jobs Talk On Advertising”. OK, stuff it Peter. We’ve heard all of this before. I admit it. I can’t control myself: When was the last time your client said that about your advertising? I know 1997 Jobs and Apple doesn’t represent our everyday advertising world reality and your client isn’t Steve Jobs. But… please start to really want to have your clients get emotional when they see your ad ideas, not your invoice. Oh, want your agency to Think Different? Call me. That’s what I do. This entry was posted in Smart Agencies and tagged advertising, branding, CEO, Pitching, video. Bookmark the permalink. Trackbacks are closed, but you can post a comment. Peter, I finished watching the video. I had not seen it before. Excellent. Thanks for sharing. I had not seen this one before! Thanks for sharing.